Two women were formally charged Wednesday with aggravated kidnapping stemming from an incident over the weekend when a 27-year-old man was taken from his rural Mission home at gunpoint by an unknown group of men. 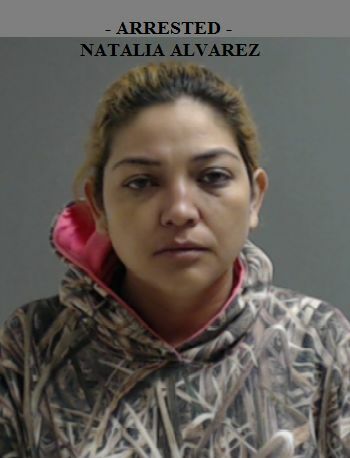 The 27-year-old victim told sheriff’s deputies he was forced into a truck Saturday evening then beaten before being released, according to a Hidalgo County Sheriff’s Office news release. Deputies met with the victim around 9:45 p.m. Saturday, and he was taken to the hospital for treatment of non-life threatening injuries. 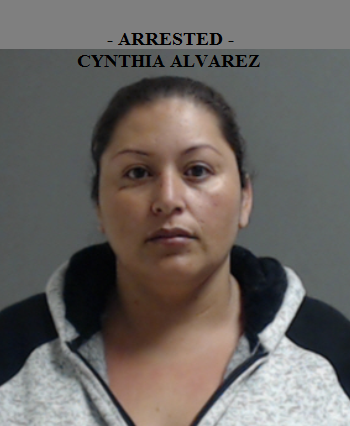 The victim told sheriff’s investigators he recognized 32-year-old Cynthia Alvarez, his ex-girlfriend, in the truck. She allegedly told the men in the truck, “That’s him,” before the men physically assaulted him. The victim also recognized Alvarez’s 35-year-old sister Natalie Alvarez in the vehicle. Further review of surveillance footage, statements and evidence demonstrated sufficient probable cause to charge the sisters with aggravated kidnapping, the release stated. Their bonds were each set at $30,000, and they remained at the Hidalgo County jail as of press time. If convicted of the first-degree felony, the women could face five to 99 years in state prison and a fine of up to $10,000. The investigation into Saturday’s kidnapping is ongoing, with more arrests to follow, according to the sheriff’s office. Anyone with information is asked to call the Hidalgo County Sheriff’s Office Criminal Investigations Division at (956) 383-8114 or the anonymous Crime Stoppers Hotline at (956) 668-8477.